Aaron Y. Strauss, Esq. Aaron Y. Strauss, Esq. Aaron Y. Strauss is one of the leading legal advisors in the commercial real estate industry, providing insight and guidance for billions worth of transactions during his career. As our firm’s founder and managing partner, he has positioned A.Y. Strauss as one of the region’s most respected law firms for commercial real estate owners, lenders and sponsors, serving the needs of our clients with the utmost in care, integrity and transparency. 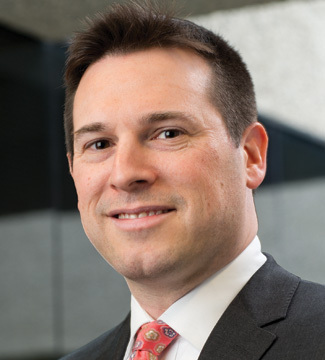 Aaron is responsible for establishing the firm’s long-term strategy and vision, overseeing a culture of excellence that recruits, retains and supports a nationally-recognized team of attorneys. He has been honored as a Rising Star leading practitioner in commercial real estate law for the past several years by Super Lawyers Magazine™, an accolade reserved for only the top 2.5% percent of attorneys nationwide. Prior to A.Y. Strauss, Aaron practiced for several years at the international law firm of Kelley, Drye & Warren LLP, headquartered in New York and at Riker, Danzig, Scherer, Hyland & Perretti LLP, based in Morristown, New Jersey.